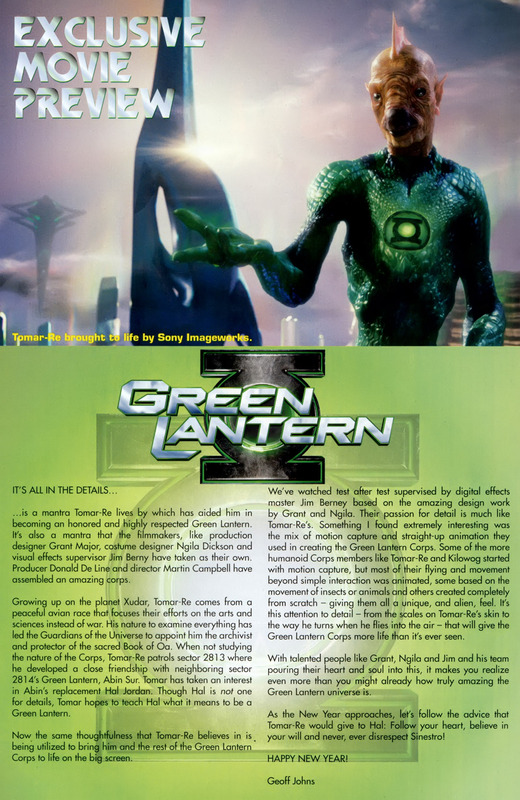 A collaboration of dozens of DC’s best artists, Green Lantern production designer Grant Major, Costume designer Ngila Dickson and visual effects supervisor Jim Berny have all contributed to the look of the new movie Tomar-Re. The Green Lantern movie has had leaked concept art for months but this is the first real picture showing the fans how far they have come in development over the last year. The comic comes with a message from Geoff Johns who brought back Hal from the dead in Green Lantern Rebirth which was oen of the biggest stories in Green Lantern history and an amazing introduction if you want to catch up with the Lantern mythology.